When I notice there's quite a few of something interesting on the internet, I make a list of them and post it here. Other people take a deeper interest in something fairly obscure that happens over and over, and they make a blog about it. Some subjects wear themselves out pretty quickly -in fact, three blogs I jotted down for this list went completely defunct in the short time since. Others keep chugging along, waiting for anyone who is interested in that subject. Here are some more narrowly-focused blogs you might enjoy taking a look at. 1. 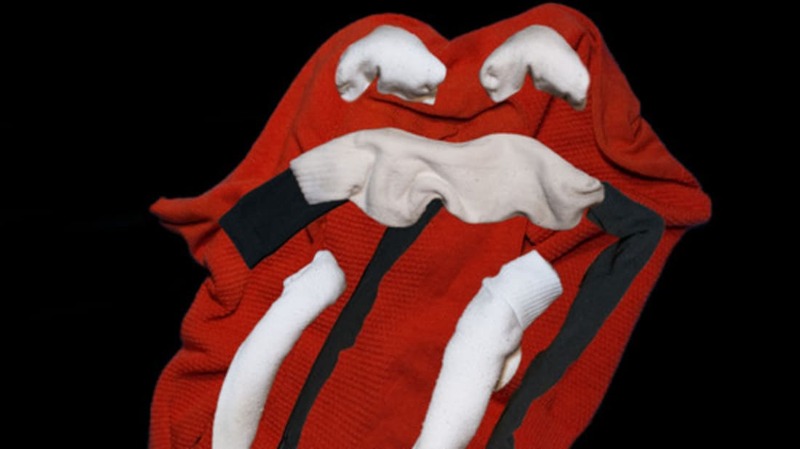 Have you ever considered socks as an art medium? 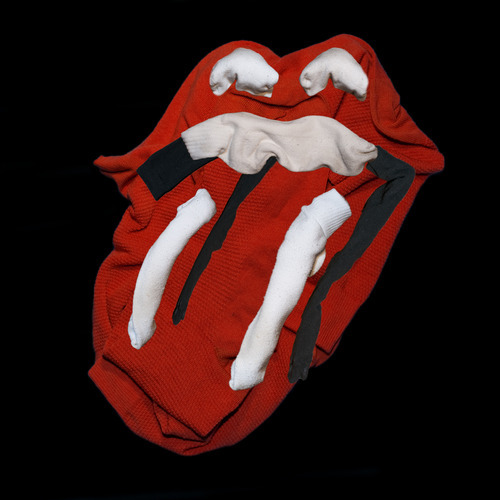 The anonymous author of a Tumblr blog called Famous album covers recreated with my socks has, and apparently has quite a selection of socks to use! There are two pages of album covers now, and we hope there is more to come. 2. You might argue that dogs can feel shame, or maybe they just seem to be particularly aware when you're angry with them. In any case, putting a sign on them to tell the world of their shame probably won't change the dog's behavior, but it does make for some funny pictures! 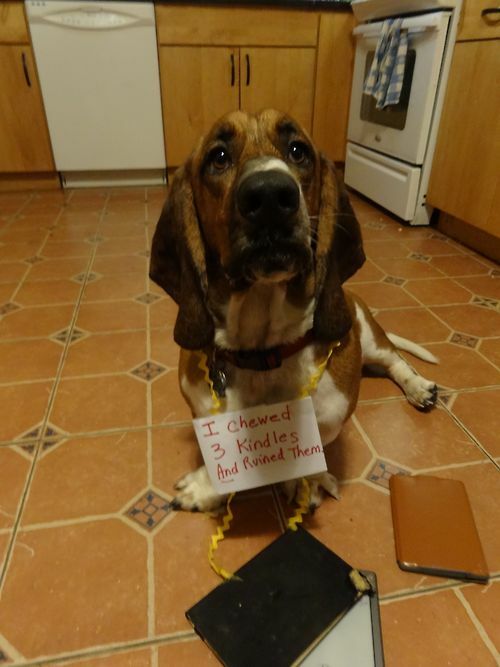 The Tumblr blog Dogshaming collects those photos to share with the world. Oh yes, and it features the occasional cat, too. Submissions are welcome, and critical comments will be posted for public shaming. 3. 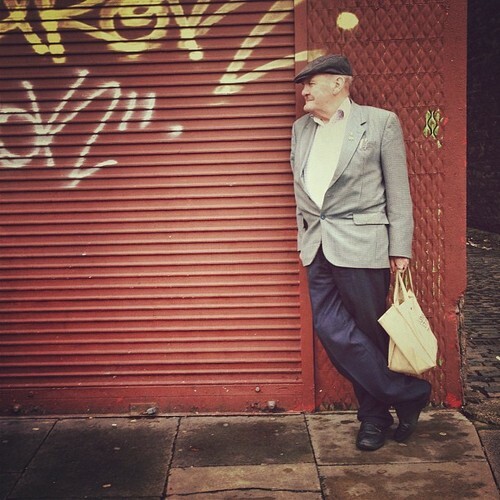 Replacement Hipsters is a picture blog featuring snapshots of elderly people with their fashion sense born of a genuine "I could care less what you think" attitude that younger people pay to have dictated to them. And there's nothing more fashionable than a genuine attitude. 4. Sorry I Haven't Posted is composed completely of blog posts from everywhere that start off with an apology for sparse posting. Sometimes they are unnecessary to the point of laughter. Sorry I haven’t posted in a while but I was busy! So, I will post this afternoon, so look forward to that. Other times, they catch your attention. Hey gang. Sorry I haven’t posted in a while. I recently had a very, very, very, minor, very, very, very, mild heart attack. I know…it doesn’t matter how many very-verys you put in front of it, it’s still a heart attack. 5. Even when they don't last long, Tumblr blogs are good for getting a quick gallery online. 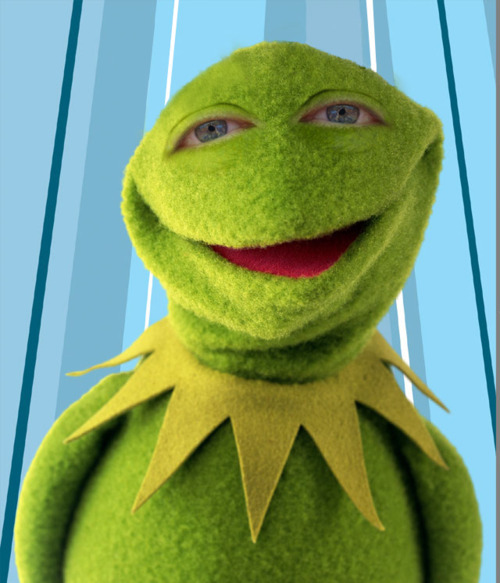 Muppets With People Eyes lasted until the most popular Muppets were published, and they are still creepy. 6. Mo Farah won gold for Great Britain in the Olympic 5,000 and 10,000 meter races, which solidified his status as a national hero. A classic image showing the moment he realized he'd won the second gold medal lent itself to an photo mashup meme, many of which are enshrined in the Tumblr blog Mo Farah Running Away from Things. No, he's not scared, but taken out of context and with the proper menacing background, it sure can look that way! 7. Dull News in Local Newspapers is British based, but has news stories as dull as your hometown paper. Some things are the same the world over. 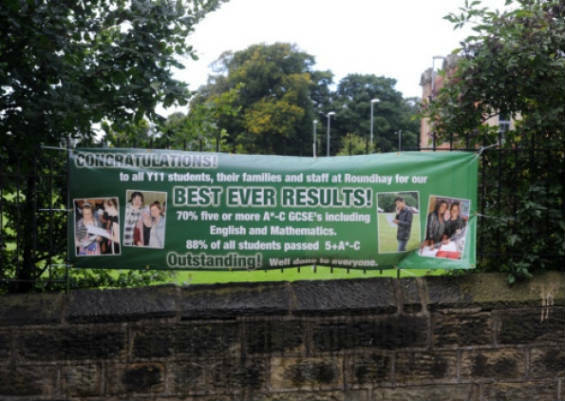 The picture is from a story about a misplaced apostrophe on a temporary banner, and the hubbub it caused. 8. 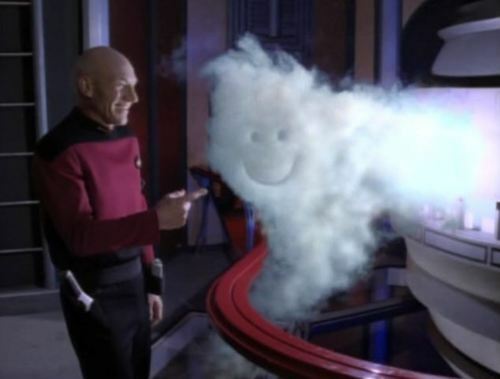 Star Trek Points at Things is taking the TV series Star Trek: The Next Generation episode by episode and posting each incident of pointing, in order. Gestures are counted to see which character does the most pointing, and scores are being kept. The blog is now on the seventh episode of season one, so there will be a lot of new pointing in the future. 9. 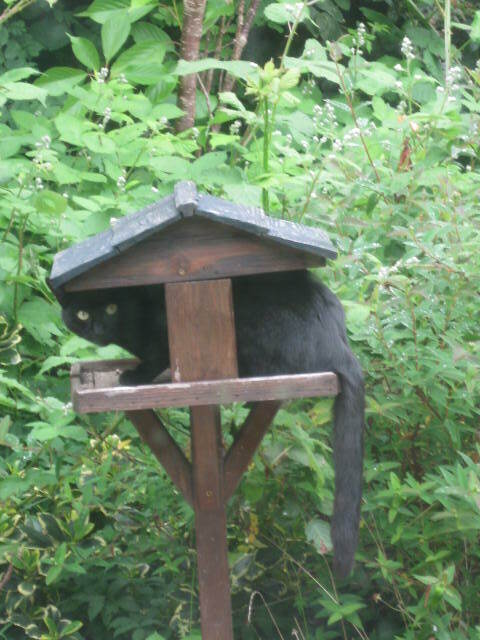 Cats are really good at not knowing their place, at least as far as what humans believe their place is. Photographic evidence of this is at Cats. Where they do not belong. Each entry has almost-sensible commentary of why a cat does not belong in that particular spot. 10. Removies are what you get when you remove one letter from a movie title and make it into something completely different. 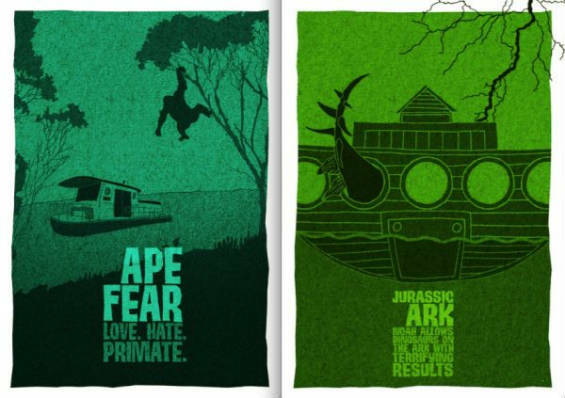 The resulting posters are found at the Tumblr blog Removies, but the artist so far remains anonymous. There's no shortage of material, as everyone I've presented this idea to can come up with a half-dozen titles off the tops of their heads. 11. 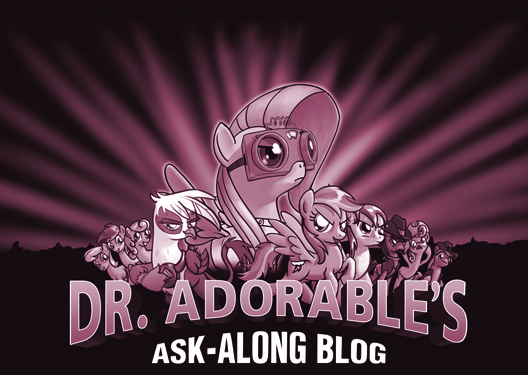 Dr. Adorable's Ask-along Blog is a parody of Dr. Horrible's Sing-along Blog with one difference: this one stars the characters from My Little Pony! Oh, there's another difference in that Dr. Adorable is a continuing project. It's been in business almost a year, with no lack of material in the foreseeable future. 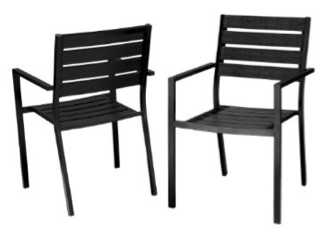 These chairs are made out of an exotic material called “Polywood.” I’m not sure what polywood is, but they’re $219,119.00 for a pair, so it must be pretty comfortable to sit on. The only downside I see is that they’re “some assembly required.” For that price they’d better come with someone to put them together and feed me grapes while I sit in them. Product links are included, of course. The blog is run by Drew Fairweather, who you might know as the cartoonist behind Toothpaste for Dinner. Some entries are NSFW.